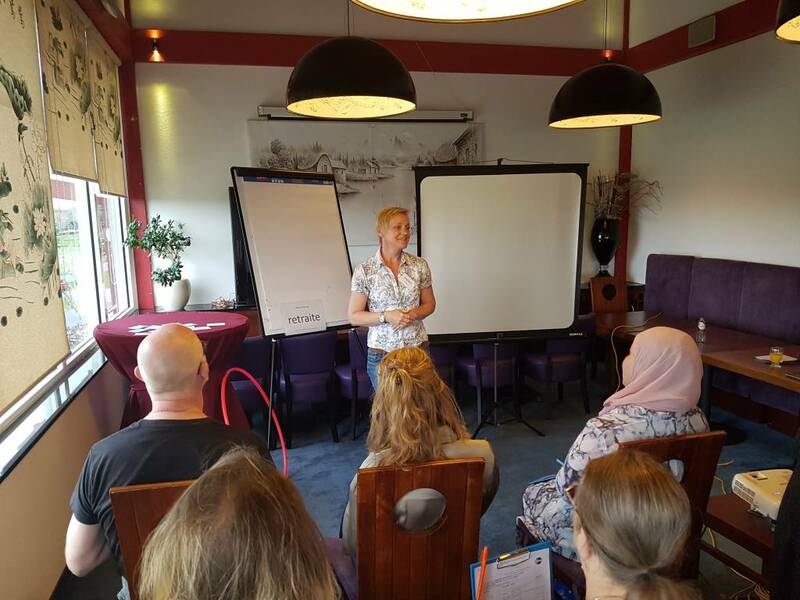 Almere Toastmasters is a Dutch language Toastmasters Club where you can learn to speak publicly, to present better, to conquer your fear of speaking. With our gradual, step-by-step program, you increase your self-confidence in a pleasant manner, giving you more fun in presenting. Almere Toastmasters got started in September 2012. We are a motivated group of people, and we provide a welcoming atmosphere where members encourage each other to improve themselves. Club members coach each other and you learn lots about leadership and leading. The club is a beautiful mix of experienced and novice speakers. Members come from a very diverse background, from marketing and communication professionals, teachers and IT specialists, to healthcare professionals, whether self-employed, employees, or looking for a job. The club meets every second and fourth Wednesday of the month. Note: depending on how the month falls, this is not always every two weeks! The club meetings are also announced – in Dutch – on our Facebook page. Meetings are held at community center Het EveNaarHuis in Almere-Buiten. The evenings start at 19:30 and last until 21:30. We start on time, so be sure to come well before 19:30 to avoid disturbances. If you visit a meeting of Almere Toastmasters for the first time, please be there at 19:15 so we can discuss the proceedings of the evening with you. Our guests are always very enthusiastic of the welcoming, fun and stimulating atmosphere within the club, and the high level of the presentations being held. We would like to welcome you as a guest. More information and the agenda for the next meeting can be found on member-portal Easy-Speak of Almere Toastmasters. Here, you can also register and sign in to attend a meeting. Please fill out the form below for an invitation. Expect a warm welcome at Almere Toastmasters!